There is a check list of common SEO mistakes to avoid when you are designing a web site. This post discusses seven of those items and explains in a little more detail why they are important. Failing to use an optimized theme, contact form and images can contribute to poor SEO results. Domains need to be owned by the web site and they need to be optimized for the subject you need to focus on. By far, selecting the right keywords and writing great content that addresses readers needs and interests. Make sure you use excellent grammar, write text for easy reading, and most of all answer your readers questions. Regardless of the subject writers and blog owners should be attempting to address questions readers are trying to answer. We assembled a short list of areas that web designers and content writers should focus on. Optimize every element of your blog for SEO. This includes the theme you are using. Select a WordPress blog theme that has been optimized for SEO and fits with your blogs intent and objectives. Optimize your contact form for SEO. Include your key words, meta data and images to help visitors find your blog. A domain name provides an identity that aligns with your company objectives. It helps manage expectations for your blogs content. Images should contain the key word you are aiming at. Optimize images for fast loading. Large image files take a long time to load and turn readers off. Fast loading images mean readers do not leave your page prematurely because it failed to load. 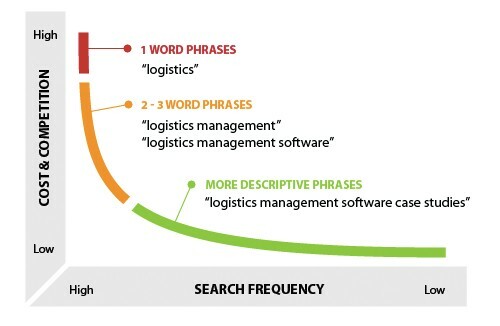 Develop a keyword strategy. It should define your content and are focused on your message. Keywords should be typical strings that readers would search for that lead to your web site. By far the most important item to keep readers coming back is providing high quality content that addresses their questions. Provide information that helps them solve whatever problem they have and pulls them to your web site. Building a web site and a web page is actually quite a complicated challenge. There are lots of SEO mistakes to avoid. 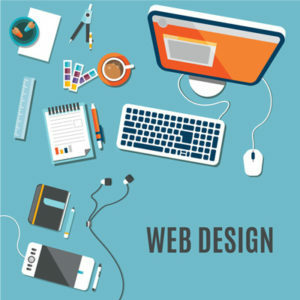 We have listed a few of the major ones to consider as you build your web page for your web site. We also expand on each item further down the page for your interest. If your readers cannot find your site because Google does not rate your page or site your traffic will be low. Whether you are selling something, providing information etc. it will be difficult to achieve your objectives. These items are not in order of priority. They all need to be addressed as you build your pages to help ranking with the search engines. Ranking on the first or second page of the SERP’s can make a huge difference in your results for your web site. Call to Action – Buy, Refer to Another Page, etc. Web Page Load Speed – readers are not willing to wait. Use an excellent service provider with high up time and fast load time results for their servers. Image Size – reduce image file sizes to as small as makes sense. If an image is part of a large page load, it will really slow your page and cause readers to move on before your page loads. Plugin Impact – there are lots of great plugins available for content management systems. They all take processing power and affect your load speed. Reduce load speed as much as possible by eliminating plugins or combining plugins. Caching – your web site can be set up to enable caching for returning customers and readers. Take advantage of this feature to reduce load times for returning readers. 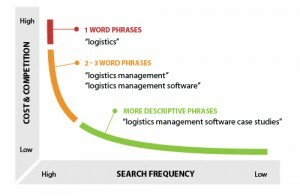 Wrong Keywords – keywords are extremely important. It is tough to compete with popular keywords. Long tail keywords are much more specific and have a smaller search audience. Find the right balance between the two. Competition – do a search for your intended keyword. If there are millions of results, it is going to be really difficult to rank well for that keyword. Find a keyword phrase that generates fewer results to reduce the competition. Long Tail Keywords – that have a natural search phrase feel to them will generate fewer search results and make it easier to rank on the first page. However as mentioned earlier a long tail keyword may generate fewer results. Page Title – this is the first thing readers see when they review the SERP results. Make it interesting and attractive to your readers as well as Google. Meta Information – provides the first few words about what your page is all about. Content processing systems can auto generate meta data for you, however review this data to make sure it conveys exactly what your page is aimed at. Write Awesome Content – Always write great content that is interesting and compelling. The longer your readers stay on a page the better your chances of them staying on your page longer. Answer Readers Questions – readers are generally looking to solve a problem of some kind. Your page should help them answer their questions, find a product, solve a problem whatever it is. Original Content – duplicate and copied content will be penalized by the search engines. Always write original content. Call to Action – Buy, Refer to Another Page, etc. to help achieve your objectives. Write for Mobile – mobile browsing is clearly the future and all sites must be able to portray their content in a mobile friendly manner. There are various strategies for solving this problem from duplicate websites to plugins which detect the device used to read the content. These plugins will automatically present the content in the appropriate format. Backlinks to your website, blog, company site etc. 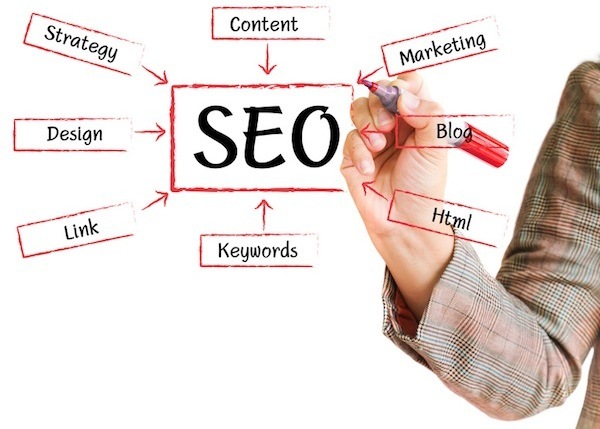 is an important element of SEO. Backlinks are links from other sites to yours. 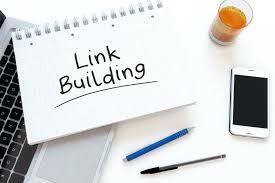 Good quality links add value and prestige to your site in the eyes of the search engines. They will help you rank higher. Better rankings mean more traffic to your site to help you meet whatever goals you may have. Writing content to build backlinks is one way to help with this strategy. Small sites have a particularly difficult time to in attracting backlinks and being noticed by the search engines. One strategy to create backlinks is to write content on other sites that are recognized as high quality sites. Each post on a guest site would contain a backlink to your own site and help in building your search engine rating to your site. This approach takes hard work and effort. It is one of the many things that small unknown sites must consider to become recognized. Writing high quality content that grabs a reader’s interest and makes them want to come back for more is another strategy. High quality content that addresses a readers questions and leads them to a solution to their issue is always good. Most web bloggers give up before they achieve any results. It just takes too long and it is too much work for most. Be patient, focus on quality content creation and building backlinks to your site every day. SEO website level ranking factors that are important to search engines are a closely guarded secret. However many experts find that the following are considered among the most important factors. Of course this also assumes you have fresh up to date content that is original and compelling to your users. HTTPS – security for your customer transactions is extremely important. HTTPS provides an additional level of security for customer transaction involving payment via credit cards etc. Site speed – If your site does not load quickly, readers will just move onto other sites. Fast response especially for mobile users is so important these days, that Google considers this factor a major criteria for ranking purposes. Mobile friendliness – your content must be readable on a small screen. Users will not take the time to even try to read small print. There are mobile test sites that will compare your content and give you a pass or fail with respect to mobile friendliness. Sitemap – Navigation on your site should appear to be seamless and easy for users to navigate. A site map, an index, and category map are all tools that users will use to find what they are looking for on your site. Links to authority sites – links to and from authority sites will also improve your ranking. They give your site credibility in the eyes of the search engines and your users. Consider eliminating links that do not rank well. They could be pulling you down with them. Number of pages on a site – Regular updates keep posts current. Add new content on a regular basis. It shows a growing healthy site. There is no magic number of pages. Regular updates and additions are most important. Site downtime – if your site is down, there is no way anyone can get to it. A high downtime for any reason is a death knell for a website. This should be one of the highest priorities for and website owner. Keep your site live all of the time. Search engine optimization is never really completed. There are always improvements and tweaks that webmasters implement. If you have a large site or many sites to maintain it is important to prioritize. Focus on the items that will return the best improvements for your effort. If you have a large site, these simple SEO techniques can be tackled using 30 minutes of your time every day. Sure you have lots to do every day, however if you focus on these items each day gradually your site will improve SERP’s. This is our list. If you have others that you feel are more important, by all means let us know. We will add them to the post and give you a link back to your site. Update lowest performing posts – update the tags, meta descriptions, spelling and grammar. Program to do one post a day if that makes more sense for your time commitments. Optimize Images – large files take a long time to load. Speed is essential if you want to retain the reader. Reduce image size to enable fast loading pages. Canonicalization of your domain – tell the search engines which one is your main site so that they do not treat www.example.com and example.com as two different sites with duplicate content. Duplicate data – use webmaster tools to verify that there are no duplicate meta descriptions and title tags. Update Image Alt tags – all images should have this data filled in so that the search engines can index the image and include them in search results. 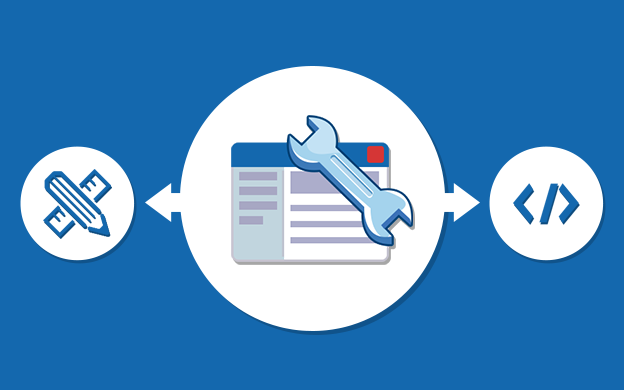 404 Error codes – review and repair all broken links on your site. 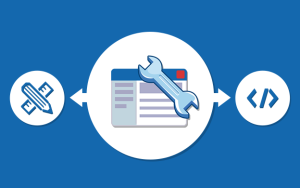 Internal Linking – identify those pages that you want to consistently link to and ensure that all are in working order. You may have been blogging for a while, and doing ok at monetizing your blog with advertising! There have been lots of ups and downs in terms of income, emotions and work ethic. Your beginning to wonder how you can take what you have learned to the next level. What modern SEO skills do you need to be successful in the future. Most people are self-taught, since this is such a new industry. Through hard work and a natural aptitude, as well as being able to learn, a few have been successful and have done very well. Times have changed a great deal since the days of key word stuffing! The industry is continuing to evolve. We have identified a few skills that can be developed, learned and matured to help in your success going forward. There are various types of SEO professional, however they can be divided between two general types: the all-rounder, and the specialist. A small business needs someone who can be an all rounder, someone who can take on many different tasks and is skilled in many different areas. While the SEO all-rounder can do everything, time is finite and some projects are absolutely massive. They will probably need to work with other teams, either employees or consultants with specialized skills to get the job done. Delegation and project management will be required , even if they can do it all. In larger companies (and agency land) you will find specific people focusing on specific SEO tasks. These are skill areas that are required and they are experts in the area, but may not have the all round skills to manage the larger job. The following list of skills are pretty much essential for SEO professionals. If you want to be successful in the industry then you’ll need some or all of the following. The skills you have and develop will help determine the career path you choose. For example, if you are highly creative and a great writer but don’t know how to code or understand server configuration you may not want to focus on technical issues. Instead, roles relating to content might be of more interest. There are both core skills and also softer skills that we all need to develop. If you have developed, written and launched a successful site on your own and monetized it your probably have most of the skills you need to be an all rounder. You could also be a jack of all trades and yet not be a master at any. Also can you manage a really large project? In a T, you may have many skills, an all rounder, but you are a specialist in at least one area. You understand what it takes to make a large project successful, but you are a specialist on a specific area. Some of your SEP resources will specialize in several areas. They have the knowledge and skill set of the all rounder, but can move from one area to another and deliver great results to the overall team. The more specialties they have the more valuable they are. Great content is made up of the actual message that is being presented and also the way it is presented to meet the needs of the search engines and also readers. You may be a technical SEO if you develop a strong understanding of HTML, schema markup, canonicals, server configuration, and mobile optimization, among other things. These are important skills to develop even if you are not one of the writers who create the actual words that readers see on the page. Quality content is the best way you have of achieving high rankings by the search engines. Great content will increase your chance of attracting links, shares and traffic to your site which you can monetize. Content comes in many different shapes and sizes. If you’re a great writer then writing content for a web site may be your forte. What keyword terms are you chasing down, and why? What does your internal link architecture look like? Determine what are the main and hub pages that you need to point internal links to? Is your on-page content converting? How should micro content – such as images, labels etc – be optimized? If you have analytical skills and are comfortable working with a lot of data SEO analysis may be interesting to you since there is a hell of a lot to process, and to make sense of before you ever start writing content. Performance analysis, competitor bench marking, technical audits, traffic analysis, keyword research… are just a few examples. It’s essential to step back and look at the big picture. Google makes countless changes to its algorithm and user interfaces every year. Markets change and customer interest also change. Focusing on the tactical can be a dangerous distraction. It’s important to know what’s going on, and certainly to be aware of major updates, but it’s also crucial to take a long-term view. As such, a strategic mindset is vital. You have to be able to look beyond the horizon, to be patient, and above all explain long-term strategy to senior stakeholders/clients to convince them of the strategic direction you are proposing. Even a small site needs regular updates and adjustments to servers, technical issues and content. Large sites require large numbers of people and focused changes that are implemented without errors on a live site that must never fail or go out of service. The project management skill is often overlooked until it is too late. If your planning changes to your site, regardless of the size, map out the process and project flow to make these changes in a manner that keeps your site always live. You might be the best technical specialist available, however if you cannot communicate and convince your management team or client then you are wasting their time and yours. Communication is a required skill by all SEO professionals regardless of what position or skill set you have. Managing expectations makes the difference between perceived success and failure. Making people aware of the risks (and rewards) is another important element of a SEO specialist. Google has stated that user experience is increasingly becoming more important in search results. It is common sense that if you are delivering some product or service to your customer, you want them to have a positive experience. If they do not they are not going to buy more of your product or service. Whatever website you have, regardless if you are selling something or providing information focusing on quality content that answers your readers questions is going to deliver better user experiences. Don’t try to game the system. Don’t try to scam your reader. It is just going to make your customer more upset. Happy customers will spread your information and they will cause more traffic to come to your site. There are lots of soft skills that you need to work in any job including digital, and that also apply to SEO. These are essential, and reflect skills that will help you in your job, your career and yes, also your personal life. This is massively important if you are going to expand your horizons, experiment and try different things in this new field. In the world of SEO there are lots of opinions and statements.Look well beyond the press the obvious and test opinions whether they are your own or come from others. Above all do they pass the test of common sense. Avoid focusing on one area, expand your thought processes to the big picture and make sure that all of the tactical activities fit well into the big picture. SEO is a competitive industry. There are millions of companies and people working on websites around the world, all trying to land on the first page of search results. You should want to win, and have a competitive streak in your nature. If this is just a job, your heart is not in it, then you will not achieve greatness. You may survive, but you will not be wildly successful if you are not passionate about what you are doing. Set and achieve goals, objectives and targets. Goals should drive you forward, and you should take great pleasure in achieving your objectives, your targets and especially your goals. Working in a silo, whether you are a single person company or working in a large corporation will never be successful. Collaborate with colleagues, others in the industry and even competitors. Learning from these people, brain storming and thinking outside the box are necessary skills. Search is hanging all of the time. Google updates their Search engine at least twice a year. Ideas and processes come and go. Above all you need to understand, evaluate and adapt to these changes to take maximum advantage and not get left behind. Build relationships online and in person with like minded people and websites. Linking to websites for example that have no relationship to your own in terms of content, ideas, services and products will not help you in the long run. Are you an entrepreneur? You are building a business, whether it is your own, the companies or a customer. Just doing a job is not going to cut it in the long run, Take risks, learn, adapt and keep trying until you get it right. Be prepared to negotiate for links, for content, for expenses and everything else related to your business opportunity and that of your customers. There is a lot of hard work associated with SEO. While there are tools to help make your task easier, be prepared to work, but work smart. If you find you are doing the same thing over and over with no solid results, you may want to rethink your activities. Yes, you need to be able to read (and write) but what’s key is the desire to read, read, read. It accounts for about 20% of your time. Reading what others are doing, how is the SEO industry changing etc. There is much to learn, and the environment is constantly changing. You have to stay on top of things. Some people have to learn the hard way, but most people quickly learn that quality sites do better than others that are sloppy and do not read well with broken links. This is just so important, you can lose a customer in less time it takes to read this sentence if you do not pay attention to detail. This is a lot to consider re What Modern SEO Skills do You Need, but then no job is easy. SEO experts know that they cannot stand still and forget about their web sites. Even a perfect website will need updates and adjustments to reflect changing search parameters and customer interest. At the same time, before you embark on an SEO project it is important to assess the impacts. Review the time or cost to make the changes and what the return on investment will be. Checking the health of your SEP projects can make a huge difference in your overall profit, from customer visits etc. The following list includes areas you want to check into and confirm. Make sure you understand your overall objectives, the results and how much it will cost before you start. Check the latest queries and keywords that brought you traffic. Pay attention to site speed mainly because it is a ranking factor and a potential annoyance for visitors. How relevant is your traffic? Does it apply to your site? A good metric to track is the number of pages indexed. Increase number of landing pages. Improve conversions (leads, subscriptions, downloads, sign-ups, comments, likes, shares, etc.). Increase stickiness of the content. Low bounce rate and high number of pages per visit are key factors. The concept of SEO Practices Use Categories vs. Tags Effectively is often overlooked by web designers and in particular content writers. Both your customers, readers and the search engines rely on this information to find material, to find products and to navigate your web site. A well designed web site that makes effective use of both categories and tags will encourage readers to stay on your web site longer and lower the bounce rate. Customer – can use the categories to focus on an area that he or she may be interested in, while the tags may guide them to a specific subject or product on your site. This helps to ensure a more satisfied customer and drives retention as well as possible sales. Readers – are much the same as customers. If you site is a content only site like this one, then you want to provide a means for the reader to navigate your site and find their way to the specific piece of content they are looking for. They also stay on your site longer which lowers the bounce rate. Search Engines – love a well categorized and indexed site. They will use what are called the taxonomies, i.e. categories and tags to navigate your site and index it. Lower bounce rates are also a significant factor in determining the SERP results. Anytime you can get on the first page of search engine results gives you a 1 in 10 chance of being chosen or clicked on. As you add content to your site, don’t forget to update your categories and tags. You may want to limit the number of categories and tags to ease the navigation. This will make it easier to find information on your site. 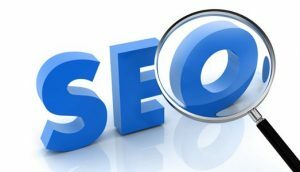 Click here for more SEO assistance. 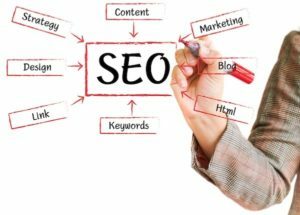 How to invest in SEO tasks and maximize ROI (Return on Investment) is something that every website administrator and business owner struggles with. We all understand that it is necessary to implement SEO design to encourage better ranking by the search engines. This helps to drive traffic and ultimately sales and revenue. But how much time and money should be spent to ensure that we get the ROI we need to make it all worthwhile? There is a process that can be followed that will assist in this objective. Part of that process is being able to measure results based on the changes you have made. Creating a priority list of all SEO tasks and website design work is the first step. Assess each in terms of value to the organization. Whether it is revenue, cost reduction, achieving corporate objectives or improving customer service is the next step. Placing a value on each helps in the prioritization process. The next step is to develop a time and cost estimate to design and implement each task,. Whether it is an SEO improvement or a new corporate objective that needs to be met. Using all of these factors, the design team and the stakeholders can begin the process of ranking all of the tasks based on ROI as well as available resources to do the work. Depending on the number of activities, priorities and magnitude of the work it can be a complex task to arrive at a final rank for each SEO task. However at least you have followed a process that makes sense, and takes into account all stakeholders input and needs. Regular reviews of the prioritized list should be conducted. These reviews can be timed around major milestone deliverables, calendar dates or other intervals that make sense for the business. The important thing here is to assess if any assumptions have changed based on new input. Then make the corresponding changes to the list of SEO tasks.